Posted January 7, 2014 by Norburn Lighting and Bath Centre & filed under Tips and Advice . Norburn Lighting has been known as the Authority on Lighting in Vancouver for over forty years. The good folks at Hinkley Lighting also have put some time and thought into a very useful how to tip section on their website. One great component is this info-graphic on Lighting 101. It doesn’t get easier than this! 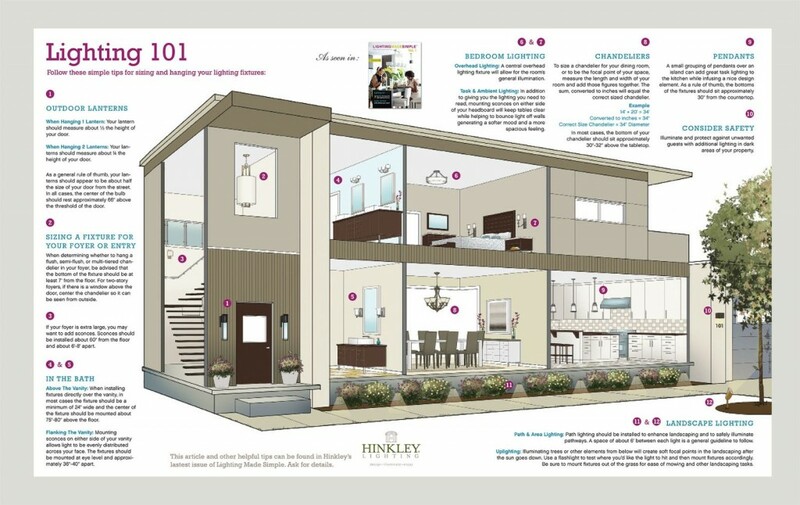 Hinkley takes all of the guesswork out of choosing the right lighting. Follow these simple tips for sizing and installing your new fixtures, inside and out.